It's a high five from the firemen on the Dive Team for everyone at the Special Olympics Polar Plunge at Metea County Park. Another brave team makes the plunge! 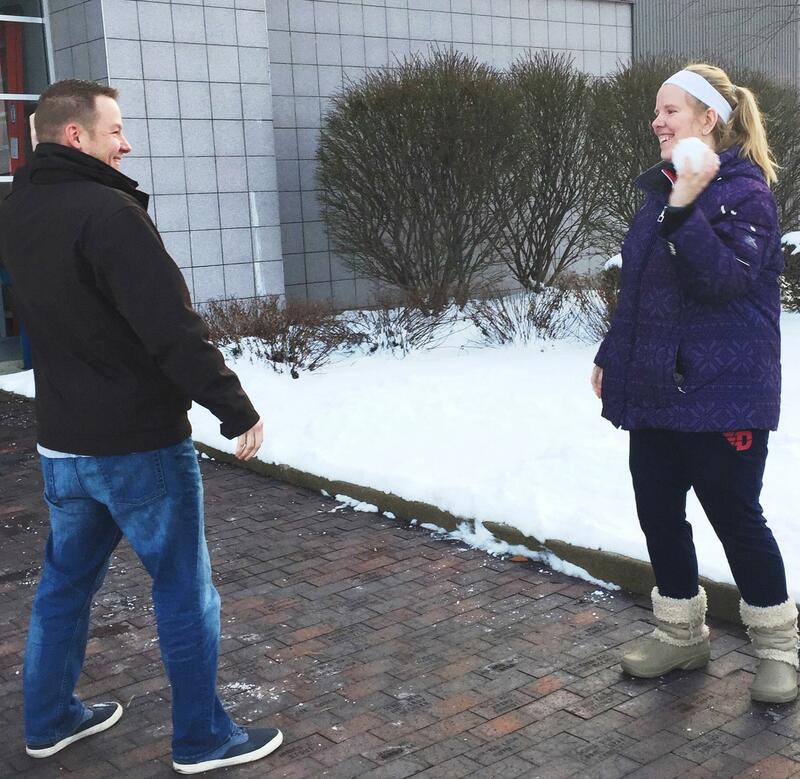 Training for this year's plunge, Jake Pickett and Alise Hazelett engage in a quick game of snowball. Plungers are seeking donations to benefit Special Olympics athletes around the state, and ensure continued opportunity for participation at all levels of activity. For a sneak Peek at what this celebration means to both state and county Olympic organizations, WBOI's Julia Meek sat down with event chair, Jake Pickett, and Olympian, Alise Hazelett, to learn about the cause, plunge day's festivities, and the satisfaction to be found in "freezin' for a reason." Listen to an extended version of Julia Meek's on-air interview with Jake Pickett and Alise Hazelett about Special Olympics Polar Plunge 2019. For more information visit the Special Olympics Indiana website. 2018 proved to be another arts-driven year for Fort Wayne, and according to Arts United's president, Susan Mendenhall, the city's cultural skyline has never been more vibrant.